Chilli Websites provides an optional full service setup for your website for those who just want to be able to change the content of the site but don't want to spend the time setting up the initial logo, site content and images. You just need to supply us with your logo (if available), a list of the pages you want on the site, and the content for these pages (i.e. text, photos, PDFs, links, etc). Additional pages beyond 6 are AUD$99* each to set up. Note that you will be able to add any number of pages via your Content Management System (CMS) once your site is setup. This offer is based on using one of our website template designs. You can select the design you would like to use or we can select for you. Click here to view the available templates. 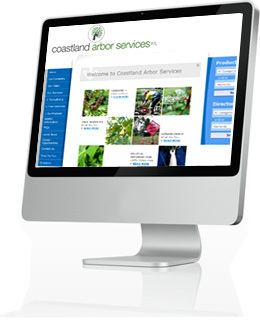 Once your web site is setup and live, all of the features of the CMS, newsletter and support (i.e. online tutorials, page-relevant help, and searchable online support knowledge base) are available to you. Click here to contact us regarding your Professionally Setup Website. 1) This offer is to setup up to 6 web pages. Each page is defined as being no more than 1,000 words per page. 3) All text should be supplied in digital format (typed) - not as a hard copy (printed out or hand written). 4) All photos should be supplied clearly labelled as to where you want them on the website - if not specified we will use our discretion to best place them. If you want them moved in the future you will be able to move them using the Content Management System (CMS). 6) The setup cost of $594* does not include our standard ongoing costs for website and email hosting and domain name registration. The ongoing cost is $44* per month. 7) These terms and conditions are in addition to our Standard Terms of Service (available by clicking here). 8) This offer is subject to our standard features, quotas and terms as described on our "Pricing" page (available by clicking here).